Is External storage for your iPhone worth it and Should You Get One? Is External Storage for Your iPhone worth it? 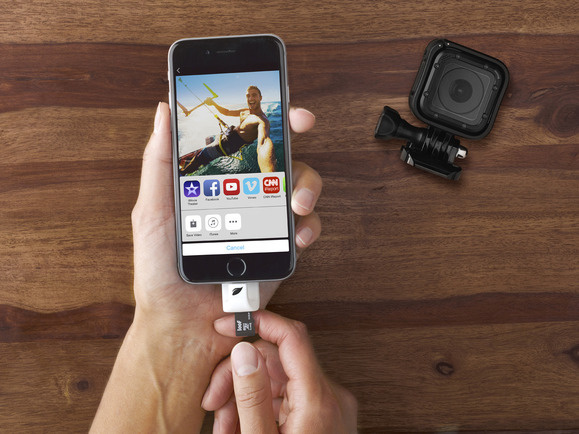 1 External storage for your iPhone worth it? 1.1.1 1. No need for an internet connection. 1.1.3 3. Not all the media files are included in the backup. 1.1.4 4. Very fast transfer of the large files. 1.1.5 5. More storage for free. 1.1.5.1 How fast is it to transfer data from the iPhone to the storage device? External storage for iPhone has become the solution when the iPhone users get to run out of the storage space. There are some minor ways which you can fix it. Some of them include freeing up some of the space. This is by going on and deleting the apps which are rarely used. Also, you can also move files to the cloud and also optimize the particular way that the storage is usually handled. If you have been able to buy a device recently, which have a very low capacity, the above problem is likely going to recur. This is because as you cannot upgrade the iPhone or even the iPad to have more storage. This means that the 32GB iPhone is going to remain a 32 GB forever. External storage for your iPhone worth it? Often are times when people are torn between going for the External Storage for iPhone and sticking with the Apple iCloud storage system. If that is the case for you, consider the following advantages of the latter. 1. No need for an internet connection. When you are backing up your data using the Apple iCloud storage system, you need a network (internet). Without having it, then it will not be possible. Well, this is not the case with the external storage for iPhone. With this device, all that is needed is for you to connect it with the iPhone. Then you can transfer the files with so much ease. It will not matter where you are as you can do this anytime, anywhere. There is some external storage for iPhone which can charge your phone. Hence during the transfer, you re safe as it will not be stopped as a result of your iPhone switching off. One of the biggest issue when it comes to the iCloud storage system is the security of the data. By the mere fact that you store the data to the third party, it does open up to the possibility of someone accessing them without your approval. However, this is not the case with the external hard drives. As you are the one in possession, it can never be hacked. Secondly, there are some of the hard drives which do allow you to encrypt them using the encryption method; hence once the files have been transferred, they may need some code for one to access them. For the heavy internet users, it is possible, once you detach this external storage, then you are very secure. This is because it cannot be accessed unless then it is stolen physically. 3. Not all the media files are included in the backup. Apple ICloud storage system does not allow you to be able to upload the media files which you have not bought at iTunes store. These files can be very important as they may be documents that are in a scanned form which are very important to you. Well, with the external storage for iPhone, you can be able to upload all the files to this device. It does not matter whatever format the documents are in; they will be fast sent to the external device. Unlike iCloud which have a limit of the size of data which you can upload, with this device, you can be sure that you are sorted. 4. Very fast transfer of the large files. External storage for iPhone makes it very easy to be able to the files. Also at the same time manage them effortlessly. Fast transfer speed is among the best advantages of the external storage for iPhone. Compared to Apple ICloud storage system, the external storage for iPhone usually have higher speeds. Hence you are going to save a lot of time. 5. More storage for free. This is among the best advantage when it comes to the external storage for iPhone. When it comes to the iCloud storage system, it has only 5GB of free storage. This can seem very much especially when your device is new. However, after some time, that is when you are going to realize that it is not enough as the media will be more. Hence you will need to dig deeper into your pockets to get more space. How fast is it to transfer data from the iPhone to the storage device? Well, when it comes to how fast you can be able to transfer data from the iPhone to the storage device for iPhone, then it is very fast. Unlike iCloud where you will need to take some time before the process of transferring the data is complete. In this case, you are going to take less amount of time. Perhaps, one of the things that you can consider when choosing external storage is the fact of whether it supports USB 3.0. USB 3.0 is very fast when it comes to transferring data. It does not matter the file format of the data! It will be sent, and before you know, you have a backup of your data. Despite it being a very simple process, some people are still unsure of how to transfer the data. One of the easiest ways to be able to do this is by using a software kit by the name iMyFone TunesMate. It is an iPhone transfer tool. With this free tool, you can always be able to back up your data directly from the iPhone to the external storage. Using the free trial, you can easily backup the photos from the iPhone to the external hard drive. TunesMate supports the transfer of various files formats. They include photos, albums, playlist, music, ringtones, audiobooks, iTunes and much more to the external hard drive. Having external storage is such a good idea. However, before you decide to purchase, here are some tips which can guide you in choosing the best one. Also, how to use it well to serve you for a long period. When it comes to external storage, there are two main factors which play a role in how fast the external storage can be operated. This is mainly the storage technology as well as the kind of connector that it does use. Despite there being some external storage for iPhone, the SSD is much faster in relation to the others. SSD has been known to be able to process the data at a much faster rate. When it comes to the connector which hooks up the external drive to the desktop, mobile device or even laptop, there are several very well-known options which can be put into consideration. 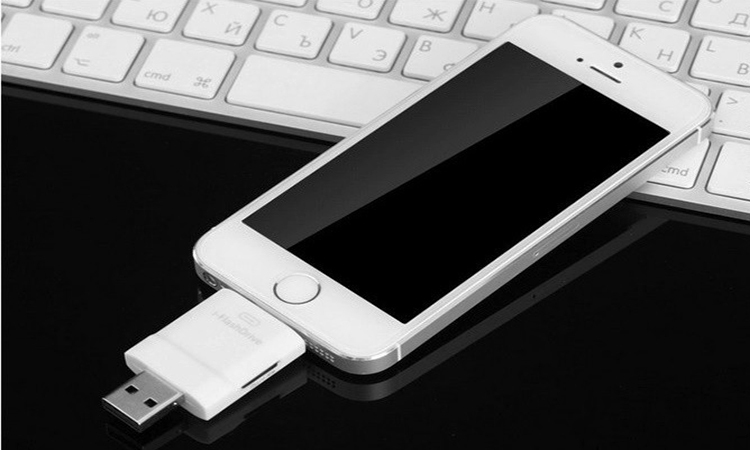 Most of the external storage for iPhone which is used today tend to have the USB interface. The USB interface does differ regarding the transfer speed. There are some which are USB 2.0 while others are USB 3.0 and they provide a substantial increase regarding speed. USB 3.1 has gained some popularity with the speed of up to 10Gbps. The external storage for the iPhone needs to be something which is easily portable. You want something that is light. Something which can easily fit in your bag or even pocket. Also, so that it can be accessed very quickly and within the shortest period. Here are some of the features that you should consider when you are shopping for external storage for iPhone. There is no doubt that the storage capacity is going to be set by exactly what solution you are going to choose. Generally speaking, the hard disk-based devices usually carry the best combination. This is especially when it comes to both the price as well as the storage. It is advisable that you get to choose twice the amount of storage capacity you currently require. With this, you can cater even for future needs. If you rarely use the external storage for iPhone, then you can go ahead and choose or even invest in something which is big. This is regard to size and also a bit bulky. But, if you will need to move with it a lot, then you can choose maybe a very large USB flash drive. Please ensure that it can be able to accommodate the amount of data which you need to carry. Currently, there are three major connections which are available in the market. These connections do include eSATA, FireWire, and USB. It is So far, the most common version and which does offer an excellent transfer speed and also quasi0universal compatibility. eSATA is still very new in the market. But it also does offer high performance also consumes fewer resources in relation to the USB. FireWire has been relegated the niche. Also, high-end platforms such as content creation and also offers best performance of three and superb compatibility with Mac Environment. External storage devices which are utilizing the desktop based components are more likely to be very quick. But this is when only matched with an equally capable interface. For faster performance, there are some manufacturers including LaCie. They allow two hard disk drives to have a configuration in the RAID 0 model that should be able to boost the performance. Some external storage devices have been put together with the main aim of being able to improve on redundancy. This is in case of the hard disk does failure. Generally, there are some of the external storage for iPhone that allows one to be able to encrypt the data which is in the device. This way, for one to be able to access such data, you will need to bypass the password which is not a very easy task. The above features are some of the best which you can use to filter the best external storage devices. This is especially which are going to offer the much-needed service. With this information, you can now be able to make a wise decision when it comes to choosing the best external storage for iPhone. Instantly back up the phone storage to the External storage for iPhone. Here, you can be able to store the latest the latest HD movies, take hundreds of photos and download the favorite shows. Also, you can get to listen to your favorite podcasts and then you will not have to worry about space as you will have External storage for iPhone. With the External storage for iPhone, you can be able to transfer single files which are very large with a very high speed. There is some External storage for iPhone which has a build in charging support connector. 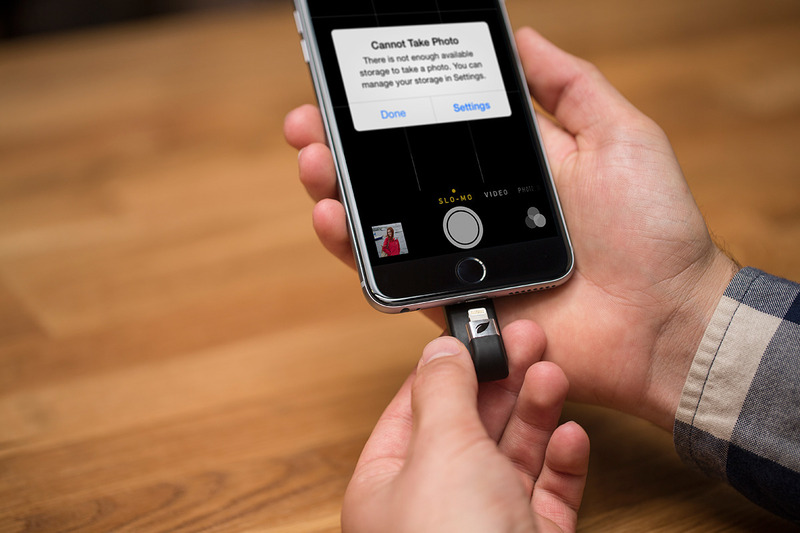 The connector is allowing you to be able to move files from the iPhone to flash drive. You can also even watch movies while you are charging it via USB port. Having this, you will not need to worry about the iPhone running out of power when you are watching the movies for long. You are still looking for more reasons as to why you should purchase External storage for iPhone. Well, with External storage for iPhone, you can be able to automatically backup the latest videos. Also, the photos whenever you want in the Flash drive. You can set up automatic backup within the iPlugmate app settings (i.e., the in App camera and the video shoot, which is compatible with the highest pixel of the phone camera). All you need is to connect and play music. Also, you can watch movies or even music that is in the External storage for iPhone. You can do this while traveling or even touring. Live the moment. Do not let running out of the storage capacity block you from being able to capture the best moments. External storage for iPhone is very easy to be able to expand the storage capacity. You can think of it as a flash drive for the iPhone. All you will need is to plug it in simple, and you will be good to go. 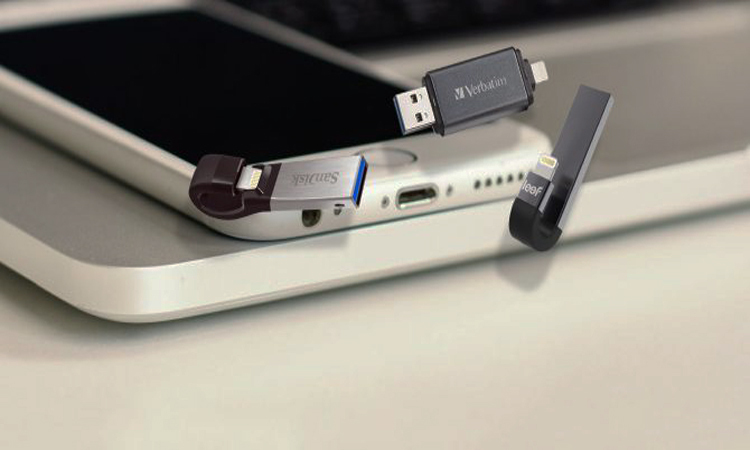 There is a wide variety of External storage for iPhone which is available in the market.